Welcome to the world of Avios points! This page answers a few of the questions that newcomers to Avios often ask. Click on the blue links to be taken to websites with more information or relevant Head for Points articles. I’m confused by the four Avios schemes …. Air Italy also uses Avios as the currency of its loyalty scheme. As you cannot transfer Avios out of Air Italy into any other Avios scheme, we do not cover it much. I will ignore Aer Lingus AerClub, Vueling Club and Iberia Plus as it is very rare that you will use these. You can also buy Avios points, although this is rarely worthwhile unless you are buying the last few you need for a redemption. The ba.com link to buy Avios is here. Head for Points runs daily articles on new ways of earning Avios points! Our ‘Quick Avios‘ page lists some of the special points-earning deals currently running. What is the easiest way of earning Avios points? See our ‘Credit Cards Update‘ page for full details of the best offers, and read Head for Points each day for the latest credit card news. Tesco Clubcard also offers an easy route to Avios points if you take advantage of their special promotions, although these have reduced in recent years. We run a sister website, Shopper Points (shopperpoints.co.uk), which focusses exclusively on Clubcard and Nectar points. How many Avios points do I earn when flying with British Airways? For economy flights, you earn 0.25 Avios per mile flown, with a minimum of 125 per flight. You earn substantially more in higher classes and for having a Bronze, Silver or Gold BA Executive Club card. Flights on other oneworld partner airlines, such as Qantas, will earn at similar levels as you can see here. I did a long article here on what Avios points are ‘worth’ when redeeming for British Airways long-haul premium flights. If you aim to get at least 1p per point of value then you won’t go wrong. Non-flight redemptions are poorer value for money. In general, you will get 0.5p per Avios of value when redeeming for non-flight items. What is best use of Avios points? At the end of the day, the best redemption is the one that gets you something you really want! However, redeeming for long-haul Business Class or First Class flights will generally get you the highest ‘pence per Avios’ value for your air miles. If you don’t earn enough points for this, redeeming for BA European flights will usually get you over 1p per Avios of value. Try to avoid redeeming for long-haul Economy Class flights as these often represent poor value due to the taxes imposed. Economy redemptions can occasionally make sense in peak season. A full list of the 33 (!) airlines which let you redeem Avios points can be found here. Each of the Avios schemes has different airline partners. British Airways Executive Club lets you redeem for all 14 airlines in the oneworld alliance plus Aer Lingus (by telephone only), Comair, Flybe and Alaska (by telephone only). AerClub and Vueling Club use the avios.com website to handle their redemptions. Aer Lingus can be booked online via this site although taxes are higher than if you book via British Airways Executive Club on the telephone. How many Avios do I need for a flight? As this ba.com page explains, flight redemptions start at just 4,000 Avios. This will get you a one-way ticket in Economy to Amsterdam, Paris etc on an off-peak date. Long-haul Economy redemptions start at 13,000 Avios, which will get you a one-way seat in Economy on BA to the Middle East or India. Premium Economy (World Traveller Plus) seats cost 2x Economy points. Business Class is 3x and First Class is 4x. Domestic connections to or from London do not require any additional Avios points when redeeming for a long-haul flight. There is an ‘Avios Calculator’ on ba.com which shows you how many points are required for any particular flight. How easy is it to find Avios seats when I want them? It depends. If you are a single traveller or a couple without children, you won’t have too much difficulty, although flexibility is always helpful. If you want tickets for a family of four to a peak holiday destination over Summer, Easter or Christmas, you will find it a lot harder – although I have done numerous school holiday trips with my children. British Airways lets you search for Avios availability at ba.com even if your account has no Avios in it. It is worthwhile spending some time looking at how easy it is to find seats on routes you would fly before committing yourself. How early can I book Avios redemption flights? British Airways guarantees to make at least two business class and four economy class seats available on every flight at some point. There are no guarantees over World Traveller Plus or First Class redemption levels. All BA flights open for booking at 355 days prior to departure, between midnight and 1am. BA is releasing the guaranteed two business class and four economy seats per flight at this point. Further seats are usually made available from time to time depending on how well the flight is selling. In general, BA is fairly generous in the number of seats made available. How can I minimise the taxes when I fly? British Airways imposes high surcharges on long-haul Avios airmiles redemptions – around £350 per person, return in Economy and £500 in World Traveller Plus, Business and First. There are ways around this, though. Redemptions in Europe have their taxes capped at £35 for Economy flights via the ‘Reward Flight Saver‘ scheme. Read our ‘Avios Redemption University‘ articles to learn how to reduce your taxes to as little as £75 for long-haul flights. What non-flight redemptions are available? British Airways Executive Club has only a limited choice of non-flight redemptions, mainly wine, hotels and car hire. When you fly with British Airways and credit your flight to British Airways Executive Club, you earn tier points as well as Avios points. Earn enough tier points and you will receive a Gold, Silver or Bronze Executive Club card with special privileges. Tier points cannot be exchanged for additional Avios points and vice versa. Can I combine my Avios points with other family members? Yes you can. British Airways Executive Club offers Household Accounts. You can learn more here. 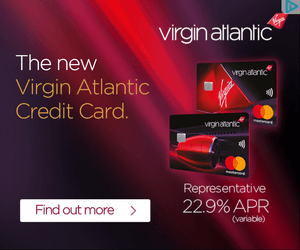 Can I turn my Virgin Atlantic / American Airlines / other air miles into Avios points? If you have points in another airline scheme to use up, I would recommend trying to combine them with an Avios redemption via two one-way redemptions. For example, as both BA and Virgin fly to Dubai, you could build up your Virgin miles so that you have just enough for a one-way redemption to Dubai on Virgin Atlantic. You could then use Avios points to fly back on British Airways. Technically yes. If there is absolutely no activity on your account for three years, they will expire. In reality, it is highly unlikely that your account will see no earning or spending at all over such a period.